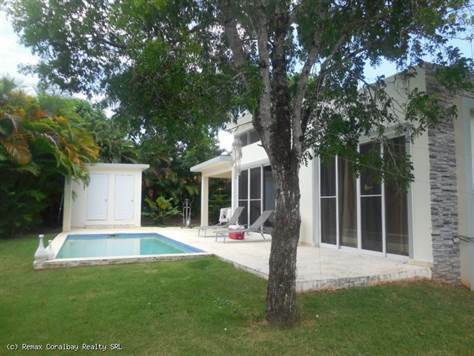 "Perfect 1 Yr Old Villa with private Pool and Yard"
Relax in your own pool and enjoy total privacy and tranquility in the tropical yard surrounding this super nice, almost new villa. Each of the two bedrooms are located on either side of the open design living area allowing for privacy. The master bedroom has a large walk in closet and en suite bath. The kitchen is nicely outfitted with granite counters and stainless appliances. Located in one of the best gated communities that boasts new amenities such as a community center, mini golf, tennis court, and a free shuttle service to both local towns and beaches. Priced $20k below market value, this one will sell quickly as it is THE most affordable villa in the community. Contact the listing agent ASAP for more photos and all the details.